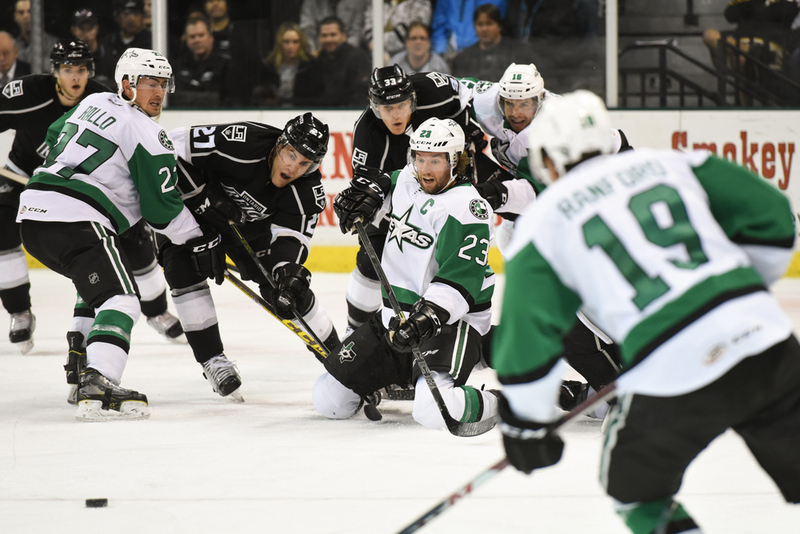 The Texas Stars had a busy weekend, facing the Charlotte Checkers Friday night and the Ontario Reign Saturday. 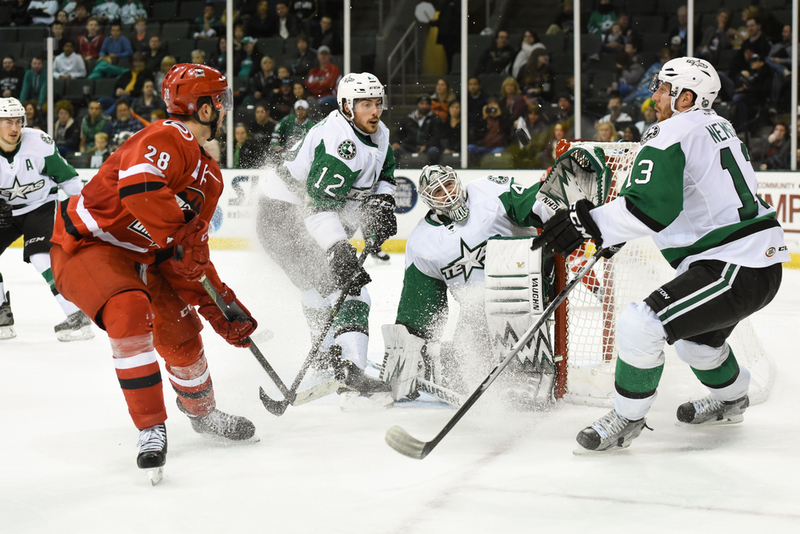 The Stars ended a 3 game losing streak with a heroic 6-2 win over the Checkers. In the first shot, John Muse sets up to block and incoming shot on net (the puck is seen in flight on the far left.) 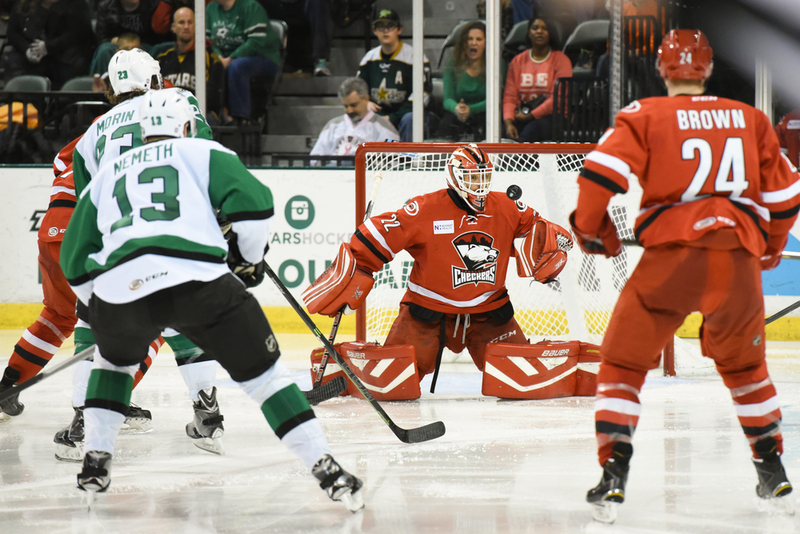 The second shot is one of many shots by the Stars on the Checkers' net. The third shot features Muse again as he gets some help from Blacker and Nemeth in keeping a puck out of the net. Friday night was Stars Wars night at the Cedar Park Center and the Texas Stars had a little help from the Rebel Alliance. 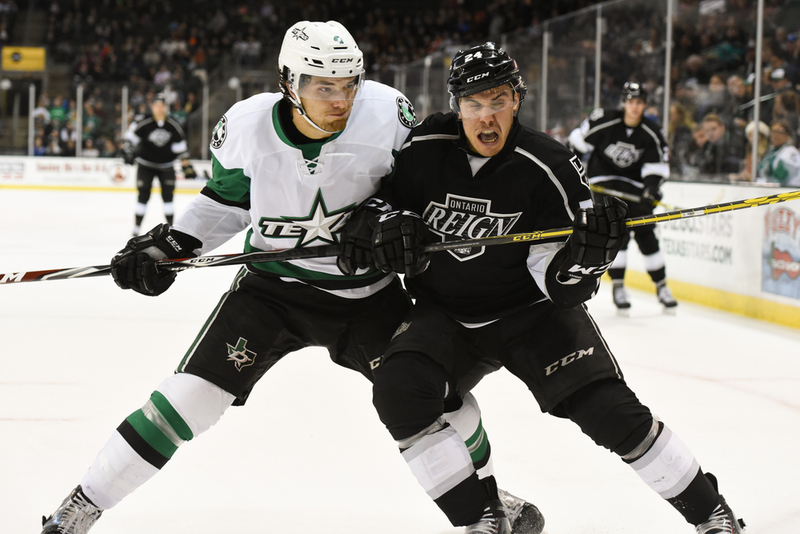 On Saturday, the Stars took on the Pacific Division leading Ontario Reign. 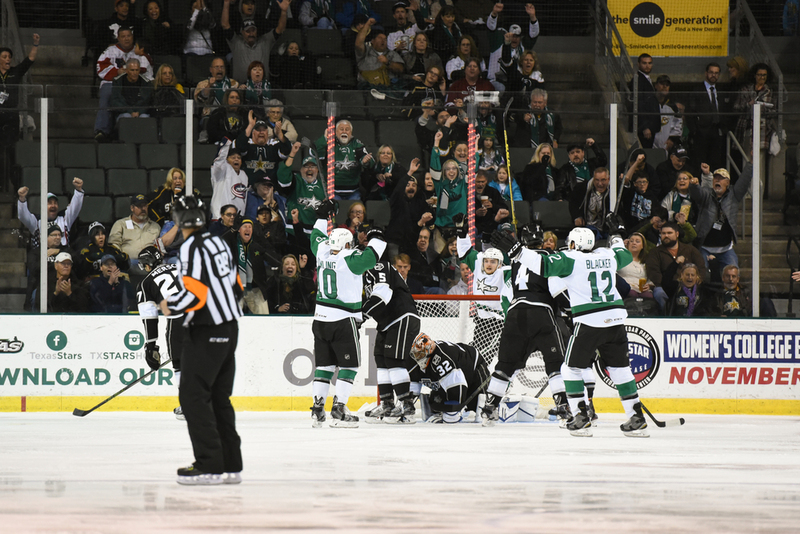 While the final score was 7-6 in favor of the Reign, the Stars battled hard and played extremely well. At one point the Stars were down by 3 goals and they made a great comeback. The first shot above is Stephen Johns putting a hit on an attacker in the first period. The second shot shows captain Travis Morin fighting to get back on his skates in a heated battle for the puck in the Reign's zone. The third shot is a celebration following a goal by Justin Dowling in the final period. Saturday night was the Stars' annual Teddy Bear toss for Blue Santa. There were about 2000 stuffed animals tossed onto the ice after the Stars' first goal!